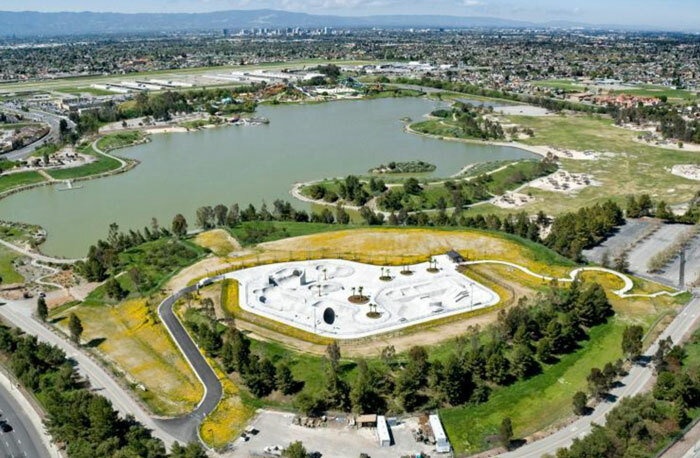 The City of San Jose’s 270 acre Lake Cunningham Regional Park is best known for housing the Raging Waters amusement park and also includes the Lake Cunningham Regional Skate Park which, at 68,000 square feet, is the largest skate park in California. The skate park features the world’s largest cradle, tallest vert wall and largest full pipe. A new ten acre Bike Park will bring additional action sports to Lake Cunningham and cement it as the premier outdoor adventure sports park. The ten acre bike park will feature beginner through advanced pump tracks, dirt jumps, freeride park, drop trails and skills trails. 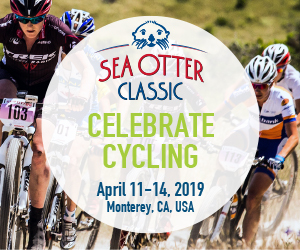 A dual slalom track will flank the southwest side of the park providing riders a chance to race each other side by side. Lake Cunningham Regional Park is easily accessible, only 2.5 miles East of Highway 101 on the corner of Tully Road and White Road. 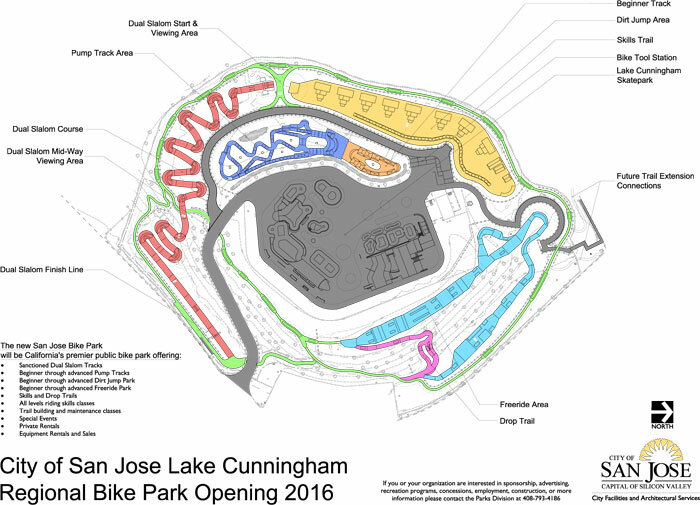 The Lake Cunningham Bike Park is scheduled to open in Fall of 2016. Stay tuned in to future announcements by visiting them on Facebook at facebook.com/LakeCunninghamBikepark. If you or your organization are interested in sponsorship, advertising, recreation programs, concession, employment, construction, or more information please contact the City of San Jose’s Parks Division at 408-793-4186. Justin R. Beck is the Recreation Program Specialist at the City of San Jose Department of Parks, Recreation, & Neighborhood Services.